The project will deliver a 12.6 kilometre dual-track passenger rail line between Petrie and Kippa-Ring, including six new rail stations at Kallangur, Murrumba Downs, Mango Hill, Mango Hill East, Rothwell and Kippa-Ring. 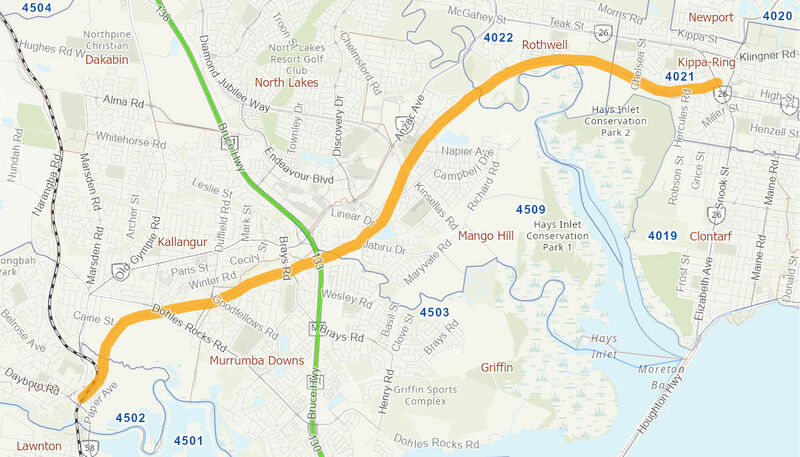 The project will also deliver the Rothwell Intersection Upgrade by converting the existing roundabout at Deception Bay Road and Anzac Avenue to a signalised intersection. The rail link will provide better access to jobs and services, both within and outside the Moreton Bay region, by improving connectivity to key employment and activity centres. The Australian Government is contributing $595 million to this project in partnership with the Queensland Government who are contributing $322 million and the Moreton Bay Regional Council who are contributing $108 million. Construction for the Moreton Bay Rail Link commenced in mid 2012 and was completed in mid 2016. Passenger rail services commenced in October 2016. The Rothwell Intersection Upgrade funded as part of this project commenced in July 2016 and completed in November 2017.